Hyannis, MA (March 25, 2019) -- The Cooperative Bank of Cape Cod is helping local families secure new homes through a partnership with Habitat for Humanity. The Coop is providing home financing for two families moving into new homes in Marstons Mills. The homes, located on Dickinson Drive, were built by community volunteers, local families and donors from Habitat for Humanity of Cape Cod. A home dedication and open house will be held on April 9th at 4 PM to welcome the families into their new homes. The community is welcome to attend. 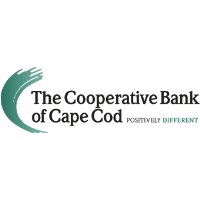 The Cooperative Bank of Cape Cod is an independent, local, mutual community bank with over $900 million in assets and over 170 employees. Established in 1921, the bank is committed to investing in the Cape Cod community where we live and work. The bank is headquartered in Hyannis with branches on Route 6A in Yarmouth Port, East Dennis and West Barnstable; in Sandwich at 275 Cotuit Road; in Hyannis at 695 Attucks Lane in Independence Park; in East Harwich at 1470 Orleans Road/Route 39; in North Falmouth at 660 North Falmouth Highway; in Falmouth at 238 Worcester Court; and in Marstons Mills at 3878 Falmouth Road. visit www.mycapecodbank.com, www.facebook.com/mycapecodbank, or call 508.568.3400 .